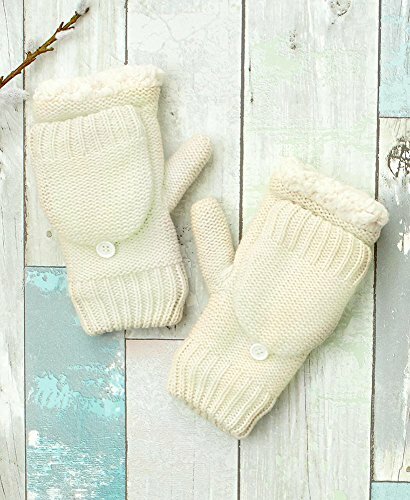 Have it all with these Berber-Lined Flip-Top Mittens. To operate your touch screen devices, wear them fingerless with the flip-top secured by the button on the back of your hand. Or close the flip-top over your fingers and turn them into warm mittens. The thick Berber lining locks in the warmth of your hands. One size fits most. Acrylic with polyester lining. Machine care. Imported.